We can confidently say that the year 2017 has kicked off with some clear indications of major advancements in technology. Who else loved seeing the phenomenal arrangements of drones during Lady Gaga’s Halftime Show at Super Bowl LI? 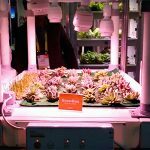 It came as no surprise that CES 2017 was filled with drones, augmented reality (AR), and virtual reality (VR) – sometimes used to showcase products from other industries. Even though it may seem obvious, small drone makers focused on producing smaller size drones, while larger manufacturers showcased bigger and slightly more traditional drones. We have already covered some of the latest and most interesting drones in our previous articles, but we are excited to go over some of them again, providing different looks at each. There also was an opportunity to tune into scheduled panels and learn about what some of the leaders from each industry had to say. The session mainly focused on the topic of facilitating the adoption of consumer drones. Earl Lawrence from the FAA explained that structured regulations with guidelines and instructions on how to safely fly drones should be the first step towards ensuring the safety of the skies while bringing us closer to reaping the benefits of UAV technology. The discussion naturally progressed to drawing the right balance of regulations, and there was no doubt that the industry faces a daunting list of challenges. For example, how can we determine a reasonable lost time for a lost link (i.e. lost communication between pilot and drone)? Such problems of ambiguity rise when writing performance-based regulations. According to Lawrence, a collaborative effort between the FAA and industry leaders must be made to create a safe culture for drones, just like the one that exists for the airline industry. 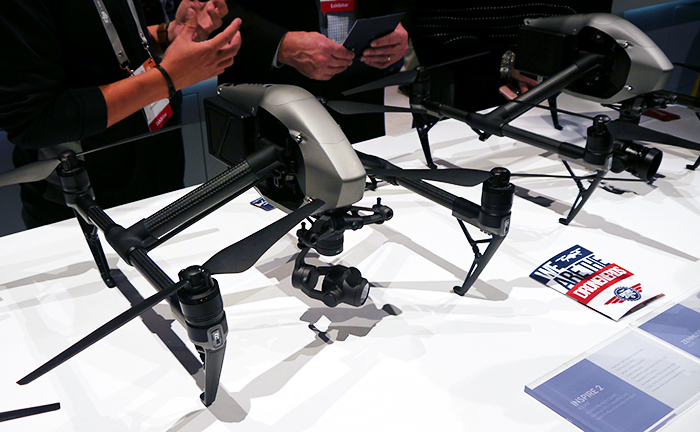 DJI showcased their latest additions to their product lines – taking up a large space on the showroom floor. Figure 1. DJI Inspire 2 can record video up to 5.2K while maintaining a top speed of 58 mph. Massive improvement over DJI’s Inspire 1, the updated version of the original Inspire system, Inspire 2 offers a plethora of features and impressive specs. Inspire 2 can record up to 5.2K in CinemaDNG RAW and provides Apple ProRes Codec integration. It boasts a top speed of 58 mph and has the ability to undulate rapidly from 0 to 50 mph in just 5 seconds. 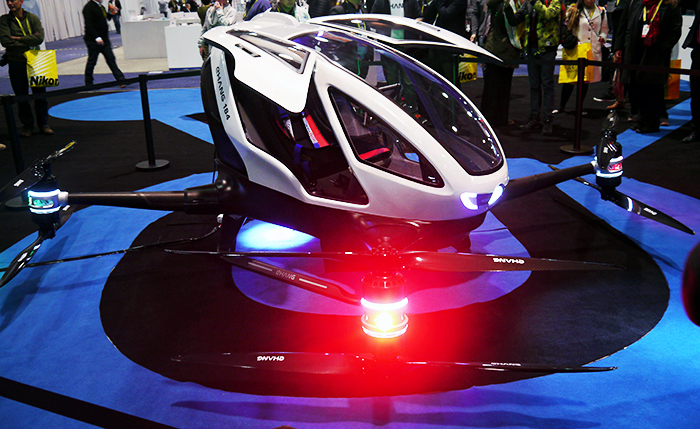 It can fly for 27 minutes with its dual battery system. Its FlightAutonomy provides two directions of obstacle avoidance and sensor redundancy. Inspire 2 also features multiple intelligent flight modes, such as Spotlight Pro (i.e. tracking mode) which allows single pilots to take pro-grade images. Figure 2. Mavic Pro is DJI’s most compact drone yet with 4K resolution at 30fps. Mavic Pro has capabilities similar to DJI’s Phantom 4. Read more about Phantom 4 from our previous coverage of Drone Data X Part 2. 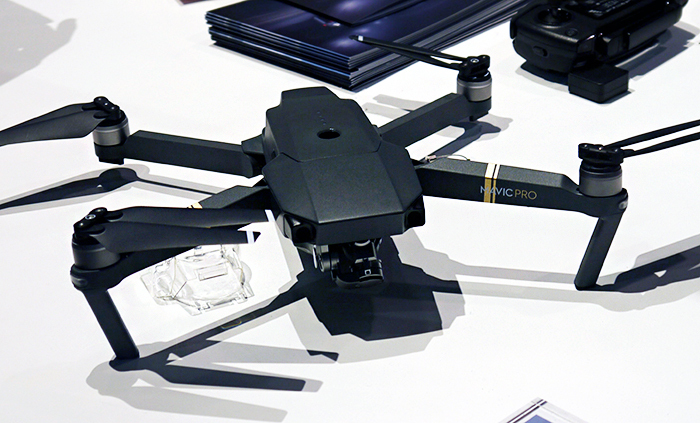 Mavic Pro is a compact, portable drone that folds up and fits in the palm of a hand. When folded, it measures only 83 x 83 x 198 mm and weighs 1.64 lb, including gimbal cover. It features a maximum speed of 40 mph (in Sport mode, without wind) and maximum flight time of 27 minutes. It is also equipped with a 4K camera, stabilized by a 3-axis mechanical gimbal along with 5 vision sensors. Despite its small size, the DJI Mavic can go as far as 4.3 miles away from the transmission system. Figure 3. DJI Phantom 4 Pro, equipped with 1-inch 20-megapixel CMOS camera sensors and a mechanical shutter, is capable of shooting 4K videos at 60fps. DJI’s new Phantom 4 Pro is a seriously sturdy drone built out of titanium and magnesium alloy. 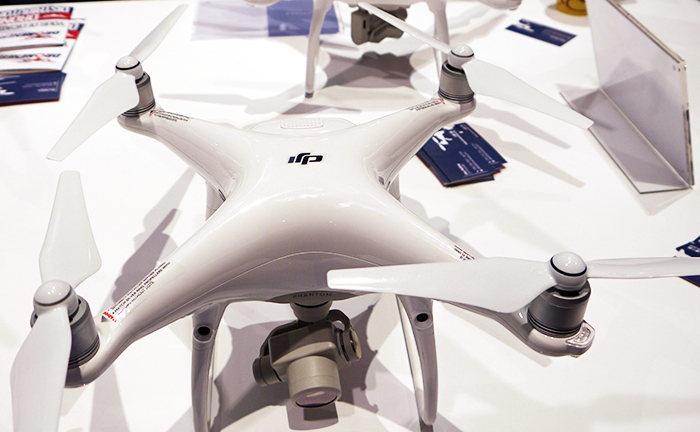 The weight is similar to that of its predecessor Phantom 4 (approx. 3 lb) but with a more rigid airframe. It also comes equipped with an updated CMOS camera sensor featuring a 20 megapixel 1-inch with 4K resolution up to 60fps. The Phantom 4 Pro has a maximum flight time of 30 minutes on a single battery and has a top speed of 41 mph (in Sport mode). It features a mechanical shutter which eliminates skewed rolling shutter videos. Additionally, there are dual rear vision sensors and infrared sensing systems for 5-direction obstacle sensing and 4-direction obstacle avoidance. Figure 4. 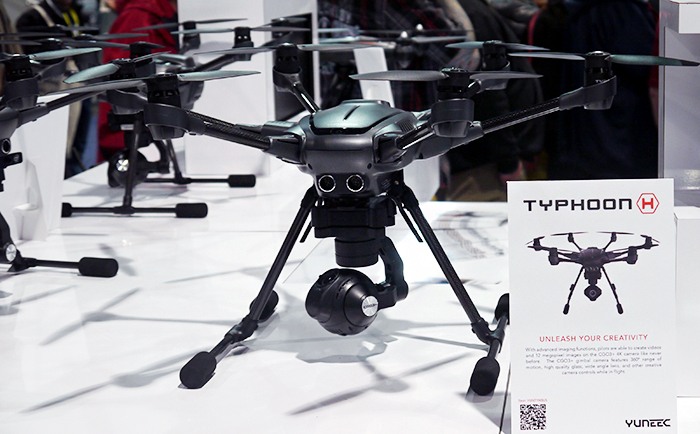 Yuneec Typhoon H is equipped with 3-axis GCO3+ camera that captures 4K Ultra HD videos and 12 megapixel still images, and it comes with Android-powered ST16 Ground Station controller with a 7-inch display. Yuneec’s Typhoon H is specially designed for aerial photography and videography, equipped with full 3-axis, 360-degree gimbal, and GCO3+ 4K camera with 12-megapixel stills. It’s able to shoot 4K video at 30fps during its flight for up to 25 minutes. Its ST16 Ground Station controller, featuring a 7-inch touchscreen, displays live footage of the flight and offers a variety of autonomous flying modes, such as Point of Interest, Orbit, Curved Cable Cam, and Journey. Read more about the flight modes from our previous coverage of Drone Data X. Typhoon H measures 20.5 x 18 x 12.2 in (520 x 457 x 310 mm) and weighs approximately 3.7 lb. It also comes with retractable landing gears and foldable arms for maximum portability and compactness. 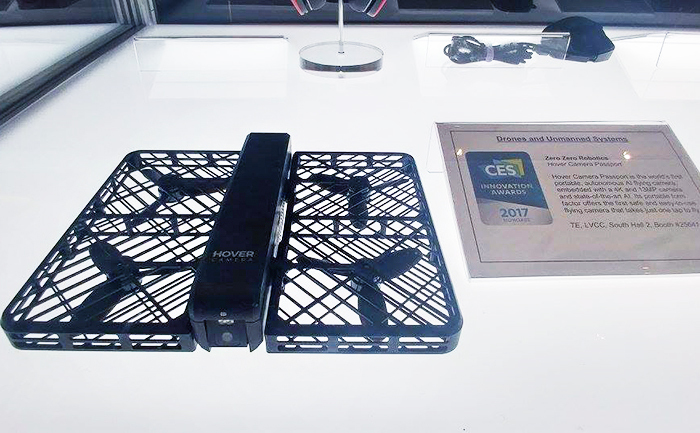 The Hover Camera Passport puts a new spin on the drone. 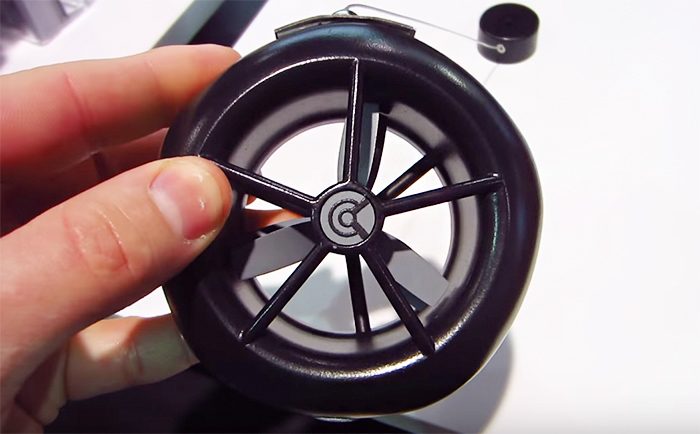 It is a super lightweight drone built with carbon fiber that weighs only half a pound (242 g). It comes with a top quality 4K camera with multiple flight modes (e.g. Face Tracking, Obit and Grab & Go). The face detection technology enables the drone to track the user’s face, allowing it to keep up with the user’s activities throughout the entire journey. It also comes with caged propellers, which is very safe and does not require no FAA registration. When folded it measures 182 x 132 x 33 mm in dimensions and has maximum speed of 17 mp and maximum flight time of 10 min (without wind). Figure 6. The EHANG 184 is the world’s first self-driving autonomous aerial vehicle that can carry a passenger at low altitudes for up to 23 minutes at a time. While small drones are fun, what caught a lot of people’s attention was EHANG 184, one of the largest drones on display at CES. It is so large that it can hold a person with a maximum weight of 220 lb (100 kg). It’s equipped with four gigantic arms and eight propellers. This is a safe, smart and eco-friendly autonomous aerial vehicle that aims to provide medium to short distance communication and transportation solutions. Designed to be 100% green, the 184 is powered by electricity only and ensures the safety of the passenger with its full redundancy and fail-safe system. Its average cruising speed is 60 mph and suggested flying altitude is 500 m.
Cleo is a portable camera drone designed to fit inside your pocket. Cleo weighs 65 grams, measures 92mm x 92mm x 32m in dimensions, and can fly for 15 minutes after a 45-minute charge. It comes with 13MP camera, 780p live stream resolution, and 1080p video recording resolution. Cleo is also safe indoors and around people, thanks to its small airframe and propellers located inside a duct. Its simple and intuitive design allows anyone to pick it up and use it right away. Cleo is easily controlled via their smartphone application available for both iOS and Android. AR and VR demos were seen everywhere at CES, even in areas not dedicated to either category. 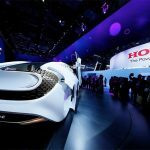 A number of auto manufacturers were using VR to demonstrate their latest innovations in artificial intelligence and autonomous vehicles. 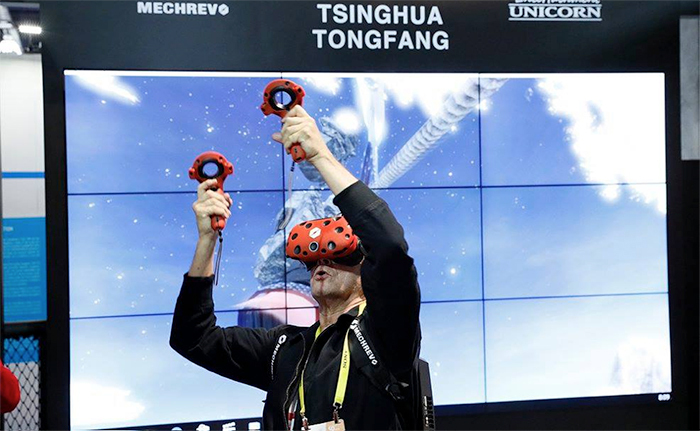 Other manufacturers used VR to give a more in-depth demonstration of various products. 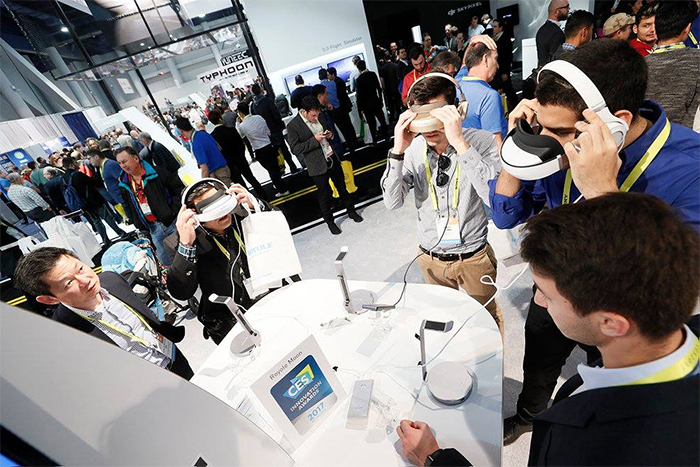 Plenty of vendors at CES showcased their innovative products specifically made for the AR and VR categories. Pokemon Go created a huge boom in 2016 globally, which was the first large-scale, mainstream game to introduce the term “augmented reality” to people outside of the tech world. It spread much optimism and assurance in the AR gaming space, according to the two industry leaders, Nick Beliaeff of Spin Master and Jeri Ellsworth of CastAR, who spoke at a panel Augmented Reality (AR): Gaming’s Next Level. The AR market is constantly growing and predicted to be worth approximately $90 billion by the year 2020. The market is sure to attract developers and enterprises looking for some monetary gain, but Beliaeff and Ellsworth shared some insight that the Star Trek holodeck was the inspiration for their endeavor into AR gaming. One of the challenging questions addressed during the panel led by Beliaeff and Ellsworth was the amount of graphics needed to make AR viable. Wide field of view is necessary to help eliminate visually induced motion sickness often that can occur when using VR and AR devices. However, graphics alone do not constitute compelling AR/VR experiences. The tech industry’s obsession with impressive specs is hurting in areas like AR gaming, and AR/VR developers could learn a few lessons from toy businesses, according to Ellsworth. The toy manufacturers know better – if it’s low tech and low cost but fun to play with, then it’s a winner. 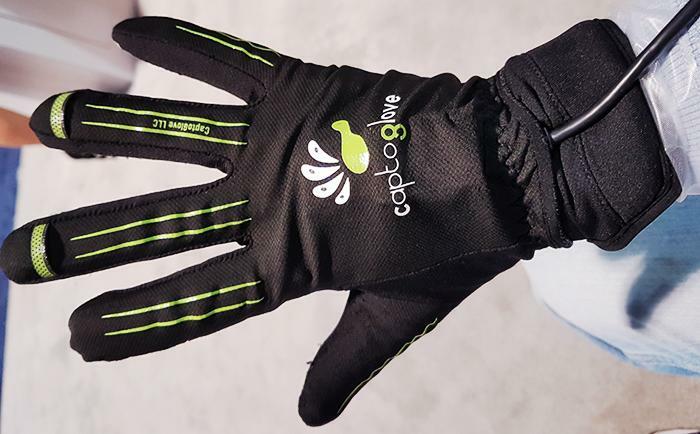 CaptoGlove is a wireless VR glove that enables video gameplay using your hands. The intuitive user interface allows immediate and immersive gaming experience. 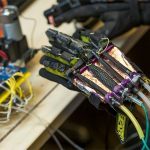 It has multiple sensors inside the glove, including bend sensors in the fingers that are fed back to the input device over Bluetooth Low Energy. 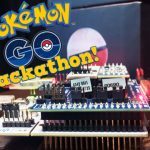 It comes with its accompanying software that converts the feedback into movements and clicks that can be mapped in the game. It works with standard computers and mobile devices. CaptoGlove provides 8 hours of gameplay with no additional infrastructure like cameras, special games, etc. The company plans to launch a Kickstarter campaign in March 2017. Mechrevo Vest PC II combined with the VR headset offers the wireless freedom of movement that any gamer dreams of. The complete machine (plus battery) weighs 6.6lb (3 kg), which is lighter than the average school bag (11 lb). It comes with custom controllers and mainstream VR glasses for full-immersive 3D telepresence. The PC has two batteries that can be hot plugged at any time and carries the Carry VR Operating System and runs VR games built on both the Unity and Unreal game engines. 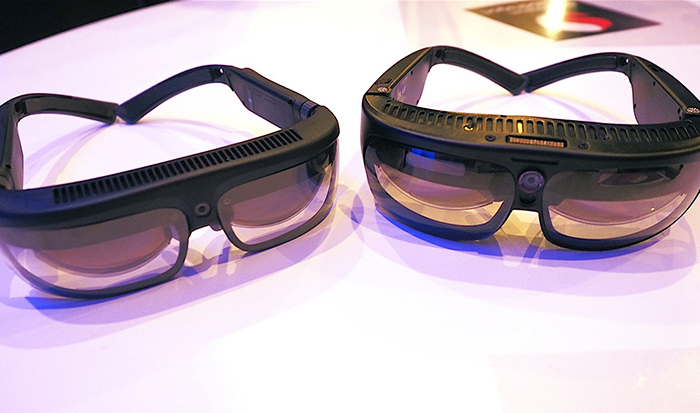 The Osterhout Design Group (ODG) has disclosed two new models of their R-series smart glasses, the R8 and R9. Both use Qualcomm’s new Snapdragon 835 chip, which Qualcomm designed with head-mounted wearables in mind. The ODG R-8 glasses offer AR and VR at 720p HD resolution. R8 is slightly lighter (approx. 4 oz.) 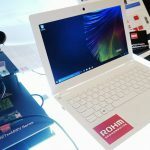 and is suitable for consumers, while the R-9 version may attract more developers and enterprises as they offer twin 1080p Full HD transparent displays. The R-9 features a special expansion port on top, which taps directly into the headset’s hardware, allowing a huge potential for customization. Figure 10. 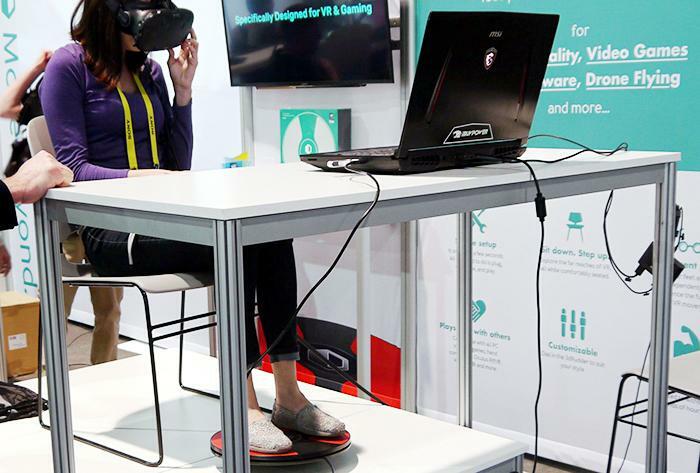 3dRudder is a foot based controller that can be used with VR games on the PC. 3dRudder welcomes you to 3D worlds where you can use your feet to move naturally, just like in real life. It is a foot-powered controller that frees your hands to do other tasks for the game. You can select different modes in the Dashboard to set it up as a second gamepad, keyboard, or joystick. Operating the 3dRudder is easy: push with toes or heels to go forward or backward, tilt to the left or right, rotate to turn around. The featured highly sensitive sensors capture every movement and a firmware turns them into responsive real-time moves. Figure 11. Xenoma’s e-skin is a machine-washable smart apparel with sensors that can be used in gaming, fitness, health and other industries. Xenoma e-skin is a next generation wearable interface for the gaming, fitness, and healthcare industries. e-skin features camera-free motion capture and tracking functions and can be worn comfortably as a typical shirt. It’s also machine washable. In addition, the smart garment can be used as an input controller for gaming and VR experiences. It is equipped with 3-axis accelerometer, 3-axis gyro sensors, 14 strain sensors for body movements (e.g. bending, stretching, etc. ), and a micro-UBS port for recharging. It has the ability to take data at 60fps. E-skin has potential application in the healthcare field for continuous body monitoring (i.e. body movement, posture, and respiration). Xenoma’s software development kits are expected to ship in February, 2017. Finch Shift is a motion controller for mobile VR platforms. It has a joystick and a module for the upper arm, with both containing an IMU-sensor to monitor hand positions without cameras or wires. Finch Shift is compatible with Oculus, HTC and DayDream platforms and has a “no-camera” hand tracking function, which enables it to be used with VR apps from Oculus Store, SteamVR, and Google Play. The controller transmits the data in real-time through Bluetooth to mobile devices or PCs and employs a 360-degree tracking range. With Shift, users can enjoy both single and multiplayer games on their regular smartphones. The boom in the consumer drone industry shows no sign of slowing down. 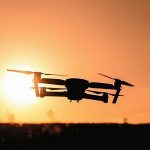 New advancements in drone technology and innovation are proliferating so quickly that the Federal Aviation Administration (FAA) is having a hard time keeping up with safety regulations. The new drones are more innovative and sophisticated than ever. Some are smaller drones that specialize in ease of use, safety, and portability, not even requiring FAA drone registration. Others focus on film, photography, and even transportation. Similarly, the worlds of AR and VR continue to evolve, introducing new devices and making their use more natural and seamless. Advances are being made in regards to eyewear that are lighter and more powerful than previous models. VR was particularly popular with many non-VR specific vendors, which signified that the technology was already being adapted and can be useful for other categories of products.